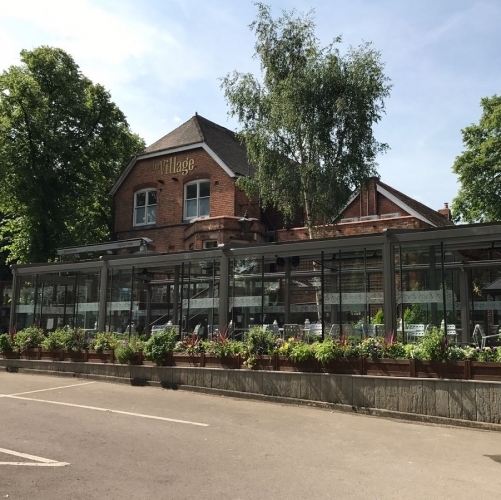 In this blog post we look at a recent heating project we designed for a gastro pub’s dining area. The pub was looking for a discrete heating system with a modern appearance to match the area’s aesthetics. Here’s how it all went down. Our new Midlands based agent Andy Gates called us in to carry out a site visit at the gastro pub in Solihull. The pub’s new dining area had been up for about 6 months but required a heating system to make it more comfortable for customers. Their dining area is a modern looking glass structure with a retractable roof and a high end chrome finish throughout. 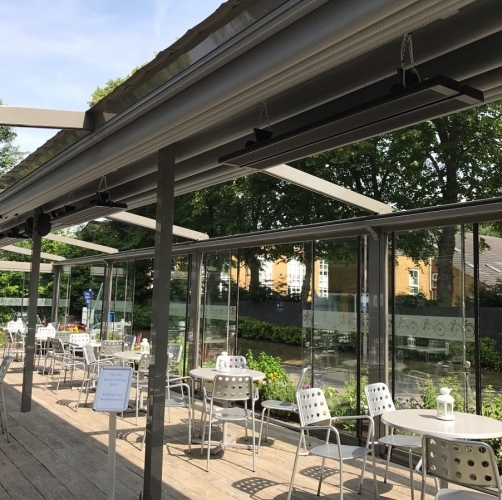 The pub’s owners were looking for a discreet heating system which would looks good and would keep customers eating and drinking outside! Our radiant no glow heaters were the perfect solution. A picture of the pub and it’s new outdoor dining area. The dining areas sits over 40 people. Increasing their comfort will increase revenue! 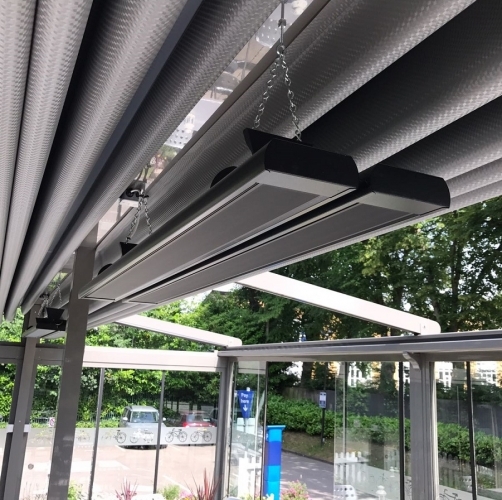 Our terrace heaters are an IP44 rated longwave radiant heater which provides gentle radiant heat with no noise, draught or light output! They are ideally suited for heating partially enclosed areas just like the pub’s glass structure. The terrace heater has a smart ‘all black’ appearance which suited the modern aesthetic of the eating area. 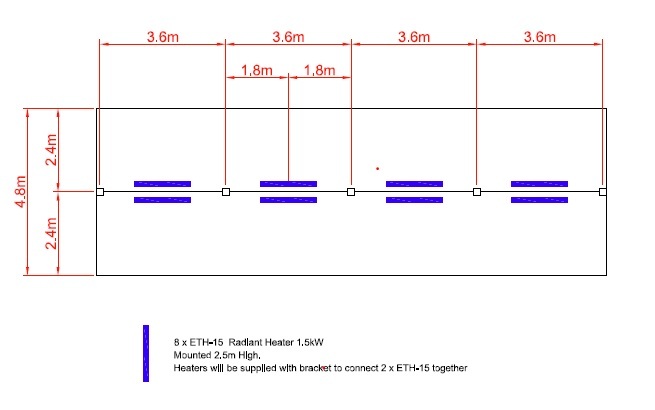 After carrying out the site visit we eventually designed a scheme using 8 x 1.5kW units suspended on chains in four banks of two heaters. Click for the full heater specs. Controlling the heaters was fairly simple. We designed a scheme that used a 7 day timer, a tamperproof thermostat and a remote IP rated sensor. This all ran through a 50A contactor. The pub owners were over the moon as the heaters created a warm and comfortable environment for their customers. As you can see from the photos the no glow heaters also looked the part! We design and supply indoor/outdoor heating schemes from simple domestic applications to larger projects like golf driving ranges and outdoor food markets. Call us today to discuss a project on 01293 547 361.